My Web Business Diary -Why I chose SBI! My Experiences with Solo Build It! 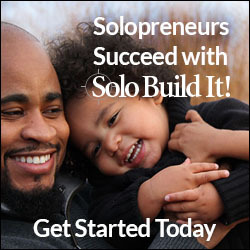 This "SBI" Diary (renamed, "Solo Build It!" in 2017) is telling you all about my experiences from week to week, month to month of using this program and building my own website. Solo Build It! is absolutely incredible! As you scroll through my weeks, you will see why! The first time I read about Solo Build It! (was Site Build It! when I first began), I was when I was surfing the web, trying to understand how I could build a website. Really, I had the interest and passion. 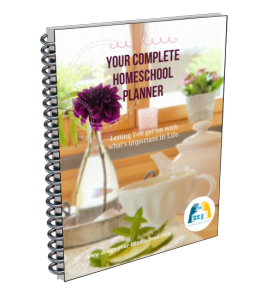 I had the topic I wanted to write about - Homeschooling. 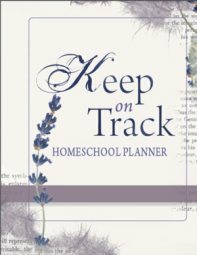 I had a heap of content in my head, and I really wanted a way to write about my experiences as a homeschooler and also as a homeschooler in the Australian context. But really, the concept was so overwhelming! The whole idea of building a website was exciting, but absolutely HUGE!!! Yet, it didn't daunt me completely. You see, I really wanted to get this done...and I had decided that I would wade through the material that I needed to, learn the HTML, understand how web-hosting work... and so on.... and eventually build my site. It would take years, but hey! this was my goal! I found SBI! - Solo Build It! to build a web business! BUT... when I found SBI, I decided to investigate them. It took my eight months to decide whether they were another 'Get Rich Quick' group on the web promising heaps, but delivering little. But every page I read, and every book I downloaded, just convinced me more and more, that they really delivered what they said. I would never promote a company that isn't reputable, but I am thrilled to tell you about SBI because they have supplied me with more tools than I can handle at the moment, and an overabundance of guidance, one step at a time. Signed Up with SBI in November, 2006. This week I was absolutely absorbed in Brainstorming my keywords. It was amazing to see the power in the tools.﻿ It was a fascinating journey. "Where's Mum?" .... "In the Study!" Still absolutely obsessed and driven! Couldn't spend any of my Saturday on SBI, which was very frustrating! I'm trying hard to hang in there and still complete some home-schooling, but my brain really focusses on one thing at at time, and I am really struggling. Some questions have been raised as what I should really focus on in my site... I'm trying to nut that out and get an overview... the big picture of what I really want to say and be all about. Week Three: Choosing a Domain Name! Man! What a week of questions and research and more brainstorming and at last was able to narrow down my focus moreand choose my niche and a suitable domain name. I wonder if you can remember this header? I also spent hour after hour working on my look and feel template. I really loved the way that I could customize it. The hardest bit was to try and find the correct photos of my kids - so I had everyone included! That was fun to make it the way I had it in my head..and it worked. Do you like this font with the stars or not? Centered or on the side? Week Four: Yes! Writing the homepage with SBI! This was a process of refinement making it say what I really wanted it to. By this week, I was really feeling the frustration of having a website with only one single page. I had such great plans, I knew what I wanted to say, (after all, following your passion is never the hard bit), but my site was sitting there looking so vacant. I decided that I would put the three oldest children in charge of the little ones, and really try to sort out some pages and load them on to the world wide web. I was able to get about 6 pages up this week. However, it was at the expense of the kids and I realize that the project is going to be slow and steady (just like the SBI tortoise) and I need to lessen my own expectations if I don't want the house to fall around me. However, I did get to go out to dinner with my hubbie, and also we started working on the fun, "I Love SBI!" video together. The kids are all helping with that and perhaps we will get it off the ground next week. Also, this weekend, three boys and Gerald are off on a boy's weekend with the Church Cadet Group. That will mean I may be able to knuckle out a few more pages, but then, I promise (??) I will be able to be a bit more a part of my family again. I just love the process TOO much! Well, this week I decided to be a part of the family again! Started well, but alas!!! the boys wanted me to finish the video we had started. So, there is my second son, Reuben, taking shot after shot of me in front of the computer, taking video of the little ones playing a game, reading with Dad and so on. Then there was the editing and that worked out quite well. I was almost ready to toss it in when the recording did not go as smoothly as it should have. There must be a certain setting on my computer which I haven't checked and I don't know what it is. But every time I would record my voice, it would come out jittery and sound absolutely awful! How could I go on? If it wasn't for my eldest son, Nathanael and his super computer with great recording facilities, I may have given up at that point! But, I carried on, recorded the sound on his, sent it to mine via Network places, added it to my editing program and continued to rework it all together. I can tell you there were a few very late nights (actually early mornings!) and also some restless sleeps, but on the night before the video competition finished, I was able to upload the result. All the children were thrilled with the result and very excited to see it on YouTube. The 15th of December.. and it was COLD in Sydney! Who would believe it! Such is Life! But I did play a game of cards with the kids in the evening and I did, in fact, leave my computer alone for most of the day! Hey! Here's my video!!! The final product! WOW! That was years ago!! Now! I really needed to do some things around the home! Not to mention that it was nearly Christmas. I hadn't written my reports for 2006, hadn't even finished my marking, hadn't sent my Christmas cards, and all the rest of the list of "haven't done that, yet!" I did manage to work on a few pages off-line and get them ready, but that was about it as far as my website was concerned. Well, this is the last week of 2006! We had a great Christmas day with friends from Church. A wonderful group of friends made the day very relaxed and totally enjoyable! Yes! I finished the reports! Yes! I worked on my Program for 2007!! Yes! I made decisions for 2007! Yes! I ordered books for 2007! Yes! I even cleaned under my fridge! But....Solo Build It....did not surface this week. What's your Hobby or Passion?